in the form of a bulgarian tradition. in case you need a refresher, you can read about my first foray into my bulgarian roots HERE. once again, adriana has tied me up with her foreign traditions thus transforming my winter blahs into sunshine and flowers. i mean, this is a much better way to celebrate spring than with old puxatawney phil. sorry phil, but those bulgarians get accessories when all you provide us with is a fleeting shadow and a hole in the ground. i can’t support that local custom, so i’m going global with this one. thanks again for widening my horizons and teaching me the ways of the world, adi! i feel both stylish and cultured. it can be found through the twist of a camera lens. or the turn of the age dial. or the easy childhood you had. or the difficult time you went through. or if you’re employed. or if you’re a man. or if you’re a teenager. or if you’re lonely. or if you’re in love. or if you ran there. or if you took the first left instead of right. for whatever reasons got us to this point, it’s given us all a unique perspective. we can experience the same event and come away with different conclusions. we can taste the same meal and simultaneously shudder in delight and disgust. we can smell the same flower and want to sniff again or sneeze and pull back. we can hear the same song and laugh or cry. we can touch the same water and either dive in or run away laughing. we can see the same mountain and be comforted or challenged. that last one actually happened. 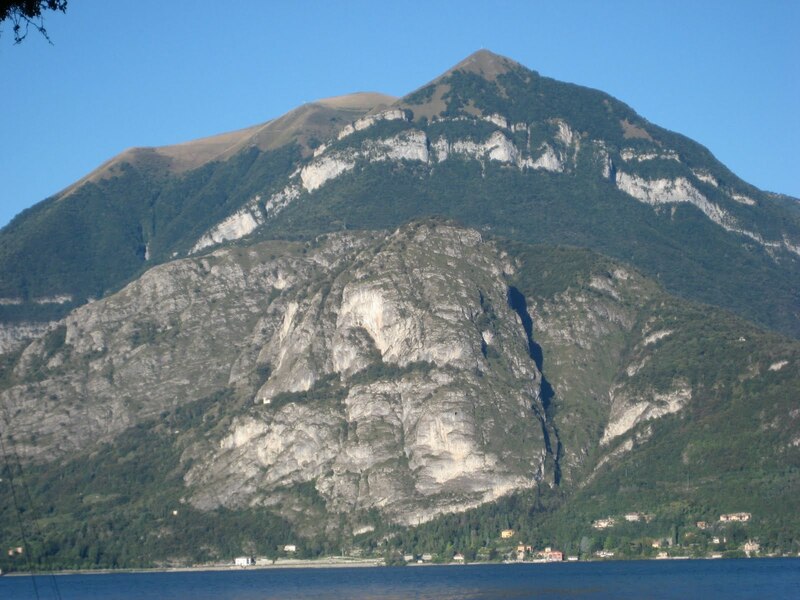 kristen saw that mountain in lake como and thought this. i saw it and felt comforted. because it was always there. every morning. strong. solid. sturdy. stunning. it was waiting for me to walk out onto the porch so it could make me smile. every afternoon. the houses bordering the base, tempting the mountain, urging it to disagree with the civilization. the trees still grew, filling in the picture, outlining its vast size. the rocks reflected the sunshine making the white spots gleam like a hollywood startlet’s mouth. every night. giving the setting sun a backdrop. providing an audience for the twinkling stars. i was introduced to that mountain at a time where i felt lost (directionally and emotionally) and confused and homesick. but every morning, noon, and night, there it was. unchanging except for the shadows that danced in the revolving sunlight. i would see that mountain and know i was near home. a temporary home. but one that was safe and modern and new and filled with two girls who opened their vacation and let me slip into their hugs hello. that mountain shows how steady mother nature is. and when you’re feeling lost, isn’t it just like a mother to send a source of comfort? america has been called a melting pot. which is true. all those people and languages and flavors and cultures and celebrations and traditions spicing up our country. i’ve decided to be my own mini melting pot – to stew my own celebrations, brew my own beliefs, and cook my own culture. i will add new words to my vocabulary and traditions to my life. i will defy expectations and relish in the parts of me that are stereotypical. i will be a creature of habit and expand my boundaries. i will be my own individual and be a part of something larger. the first tradition that i am going to embrace is a bulgarian one in honor of my friend and coworker, adriana. it’s a tradition i have been learning about for the past 2+ years and have (secretly) been wanting to partake in ever since i first heard about it. you see, bulgarians have a pagan ritual (called “Baba Marta“) to welcome spring. 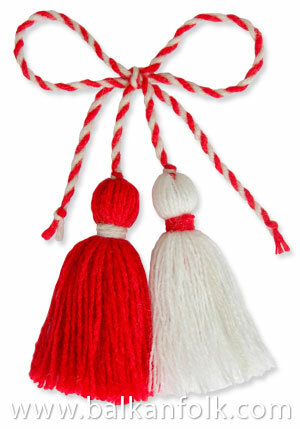 a bracelet (called a “martenitza“) of red and white yarn (the white symbolizes purity, and red symbolizes life) is tied onto your wrist and is worn from March 1 until you see a stork or blooming tree, at which point you tie it to a tree. what a lovely idea to cheer on spring’s arrival while waving bye bye bye to winter. if you really think about it, it’s a genius idea to welcome spring with a celebration. it’ll probably be more apt to arrive sooner knowing that a celebration has begun. if i were spring, i wouldn’t want to miss out on the party, would you? truth be told, i’m really hoping to see a stork and there’s a good chance i will see one in april. you know why? J’s preggers and we all know it’s the stork who brings the baby. OR maybe i’ll have to modify that part to fit into my american way of life. i do believe there will be flowers and trees popping out where i live. does a blooming onion count? maybe i’ll take my bracelet out on a date to Outback Steakhouse. woah, now there’s a clash of culture. ack. too much. too soon. anyways, the real reason i decided to take part in this ritual this year is because adriana came to my office with my very own martenitza and ambushed me and tied me up. WOAH, totally kidding. we were at work. we’re always the utmost professionals. (she is anyways). she did tie the bracelet on me because, well, it’s sort of hard to tie a knot with one hand. you may be that talented, but i’m not. i look at the bracelet each day and smile because it’s a symbol that spring will come. that warm weather isn’t all that far away. that winter’s on its way out. that i am taking part in a centuries old tradition. that, for a month, i’m bulgarian (i can speak it too). that i need to be on the look out for flowers and storks. that i will see spring sooner if i’m looking closely enough. that i’m lucky enough to have a friend like adriana.